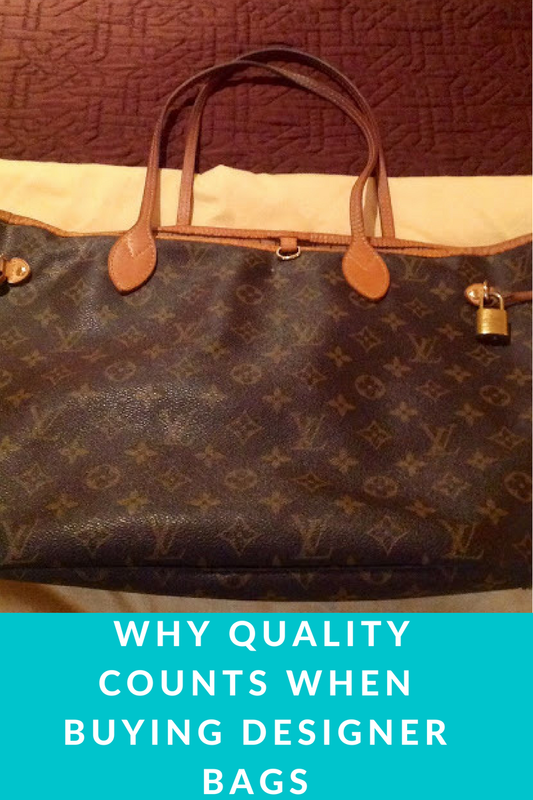 Why Quality Counts: A Lesson From a Louis Vuitton Tote | Gina Miller's Blog - A working mom's blog about fitness, travel, handbags & beauty. In 2007, I purchased a Louis Vuitton Monogram Neverfull MM (medium size) at the Neiman Marcus boutique at Northpark Center. I remember browsing in the boutique (I'm not a huge LV fan) and, while I saw the purse, it didn't jump out at me. Another customer purchased one and was just going gaga so I decided to look at the bag more closely. It was a great tote. Louis Vuitton canvas bags last forever so I bought it, thinking I could carry it for work and travel. All things being relative, the price wasn't crazy expensive. If my memory serves me correctly, it was about $645. The bag has since become quite a popular accessory. The current price for the same bag is $940 on Louis Vuitton's website. If only my investments did as well! I carried the damn thing everywhere. From Rangers spring training to the Mavs NBA Finals run in 2011 where in Oklahoma City I spilled water in it, the bag was a workhorse. I took it to Paris, Tel Aviv, Barcelona, Mexico City and more. It was the perfect travel bag because I could cram a ton of magazines, my iPad, phones and sunscreen in it. In March 2013, I was tired of carrying it. I tried to consign it one on of my favorite sites, Fashionphile, but they declined. So I took a chance and put it on ebay. I was clear that it wasn't in perfect condition but I had some documentation and staked my reputation on its authenticity. I started the auction at .99 cents and set the reserve at $125. I was shocked at what happened. The bag sold for $606! I carried that purse for almost six years and basically paid about 50 bucks while doing so! I couldn't rent that purse on Bag, Borrow or Steal for that price! Before you get all cynical, I get it: it's a freaking purse. Fair enough. But if you love accessories, like I do, why not buy quality items that are timeless? My shopping philosophy, in general, is to buy classics, particularly in jewelry and handbags. The accessories my grandmother wore are ones that I still wear today. Definitely shop around and try to find them for a great deal. But if you really like something and think you will use it for years to come, it might be worth it to pay the full retail price. Not all handbags will appreciate in "value" like this one did. Certainly not every one is as popular as Louis Vuitton or a Neverfull. But there is a lesson here: quality always has a place in the market. Always. Anytime, I have "invested" in a timeless classic, it is a purchase I have never regretted whether I have sold it on ebay or kept it for 20 years.